Hope you and your family had a wonderful Thanksgiving! We sure are thankful for family and friends and time together. 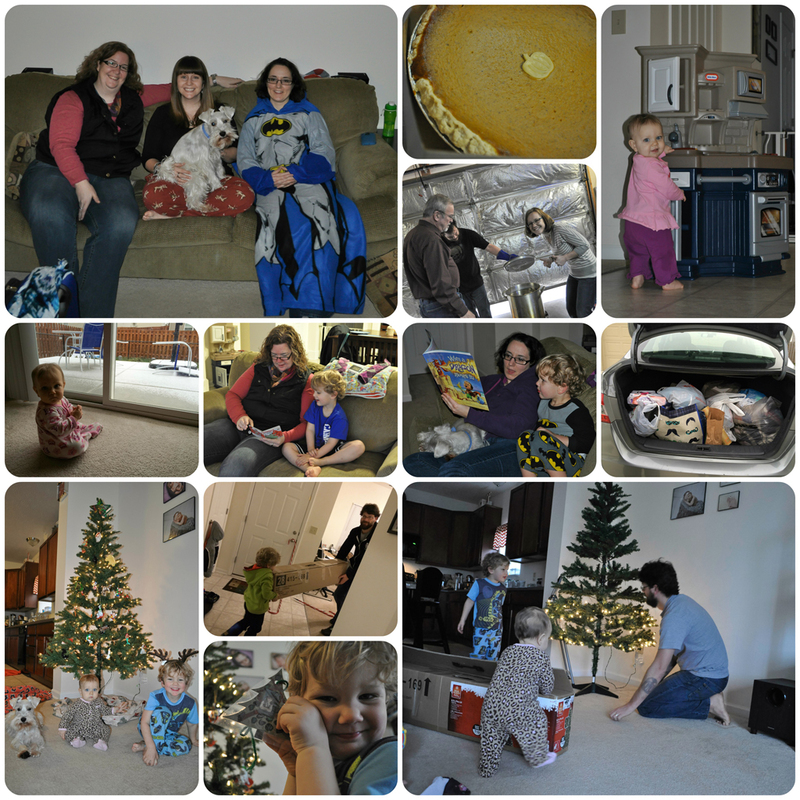 This week our BFFs Michelle and Dayna came down from Calgary to celebrate Thanksgiving with us. After waking up to a little dusting of snow on Thanksgiving morning, we enjoyed good food at my brother’s house where he fried the turkey to perfection. And of course there was pumpkin pie! Â Liam loved reading with “Aunt” Michelle and Dayna while they were here. And I enjoyed going shopping with them on Black Friday. We shopped very leisurely after breakfast with no major requirements on our lists other than to get out and see what deals were available. (I mostly got a bunch of $10 sweaters for myself!) We managed to time it just right and browsed stores casually after the crazy rush and before the late afternoon rush. Our lines were short and we didn’t experience any Black Friday insanity, thankfully. This weekend we pulled out the Christmas tree and put it up together. Liam stumbled upon an ornament that I made in 1985 with a photo of me on it, and loved seeing a picture of mama as a little girl. He was a big help putting up the ornaments this year! I can’t believe it’s December tomorrow already… where has the year gone? !